Grab your calendar and your lucky red pen (blue? purple? it's all good with us! ), so you don't miss any of our cool and fun events!! 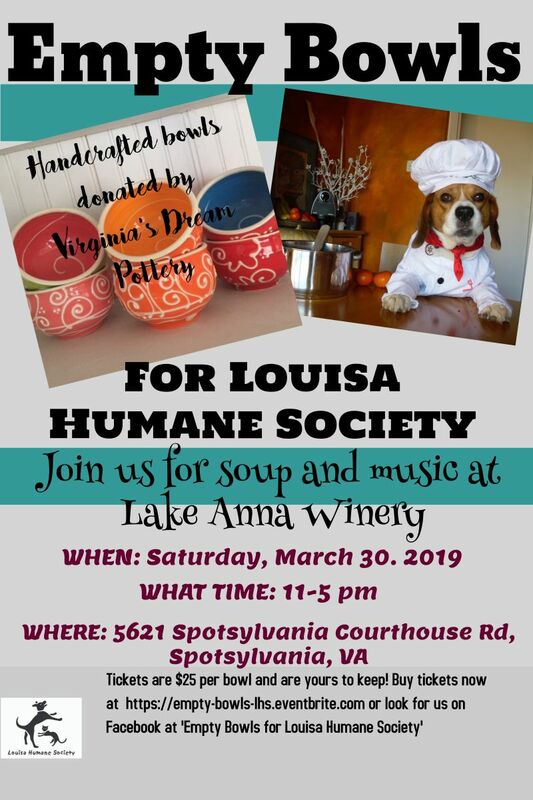 We invite you to please bookmark this page and check back with us as we continue to update this page with all the events that benefit the animals at the Louisa Humane Society. Guess what? They are nearby, so you save time and gasoline by attending our events. YOU (yes YOU!) can help, just by attending one of our events, and by spreading the word to friends, relatives, neighbors, and total strangers on the street! Cool, huh? March 21st at 5:00 p.m.